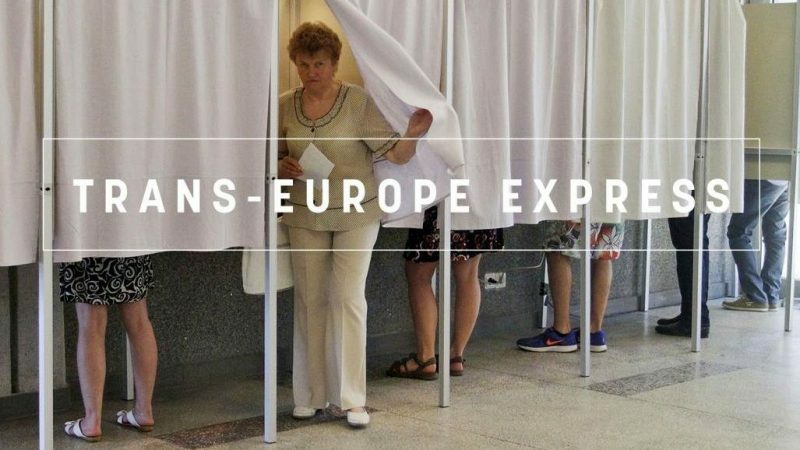 Trans-Europe Express is EURACTIV's weekly newsletter. At a press conference in Strasbourg, dedicated to the ‘100 days before the next European elections’ (23-26 May 2019), European Parliament spokesperson Jaime Duch Guillot made plenty of use of superlatives. Because this year’s European elections are dead serious. “These elections are the most important in Europe since 1979 that will take place in one of the biggest democratic exercises anywhere in the world,” he said. This is not because of the sheer number of citizens who are to cast their vote: 373 million citizens from 27 member states will elect members of the European Parliament, and 23.4 million of them will be voting for the first time. This is also not because with only two months before the elections, there are 200 legislative files still pending – the most prominent one being, of course, the vote on the ratification of the withdrawal of the United Kingdom. The latter, however, encapsulates all of the issues that are currently at stake: disinformation and political commitment. “Since 2014, the political context both in Europe and elsewhere in the world has changed fundamentally,” Duch Guillot said. “Five years ago, there was no talk about Brexit, no one had heard of President Donald Trump, nor did we talk about Russia in the same terms or indeed Turkey, and little did we talk about disinformation or fake news, even though disinformation did exist back then, it hasn’t taken to the considerable route as it has now,” he stressed. The latest figures Duch Guillot presented to the press show how well Europeans drew a lesson from the Brexit chaos and the election of Donald Trump, a situation he described as a political context that is more polarized than in the past. “It is the first time that we have seen see civil organisations, NGOs and other groups seek what contribution they can make to the campaign. There are tens of thousands of people, many of them young, who have signed up to ‘This time on voting’ platforms, we also have an enormous number of people working as volunteers in our information campaign,” he said. For the first time, the European Parliament has a network of more than 150 trans-European partners and is cooperating with prominent figures from sport and culture. And the result: According to a Eurobarometer opinion poll, 41% were aware of the European elections, 48% agreed with the opinion that ‘my voice counts’ – “something we’ve never had before,” said Duch Guillot – and 68% of citizens think that their countries have benefited from the European Union, the highest figure since 1983. French Left fragmented. The French left is divided like never before. But with less than four months to go until the European elections, attempts to bring left-wing groups together are struggling to gain traction. Italy undermines French tunnel. Italy says a planned railway tunnel underneath the Alps to France would be a waste of money, in a move that could ratchet up tensions between Rome and Paris. More populism from Italy. Europe has lost touch with its people, Italy’s Prime Minister Giuseppe Conte told the European Parliament in Strasbourg, drawing criticism from MEPs. Fairer taxation needed. Germany’s SPD, as well as visiting Commissioner Pierre Moscovici, concluded at a meeting: “Every company has to contribute its fair share”, with a particular emphasis on multinational internet companies. Serbia joins Turkish Stream. Belgrade has been given the go-ahead to build a section of the Turkish Stream pipeline from the Bulgarian to the Hungarian border, so long as not only Russian gas is transmitted through the pipeline. Deal on gas pipelines. The revised EU gas directive agreed this week is good for Poland and the EU, Jerzy Buzek, chair of the Parliament’s Industry and Energy Committee, told EURACTIV Poland. This edition of the Trans-Europe Express was co-financed by the European Parliament.